The world’s leading manufacturer of premium domestic appliances and best known for its kitchen range, Miele presents “H 6860 BPX Oven” as its trending star product. The cutting-edge H 6860 BPX Oven offers innovative, flexible and ‘smart’ solutions for all cooking needs, including ‘predictive cooking’ via the revolutionary ‘Wireless Food Probe’ which measures the cooking temperatures of foods from the inside out and calculates exactly when the meals will be ready – serving perfectly cooked meals every time. Doubling as your personal sous-chef in the kitchen, the oven also has the unique capability of adding moisture through its ‘Moisture Plus function’ which makes for an incredibly light dough and delicious baked goods, as well as the ‘crisp’ function which actively reduces the moisture in the oven, resulting in super crisp foods like French fries, pizza, croquettes etc. With over 100 international dishes saved in its ‘Automatic programmes’ spanning bread, cakes vegetables and meat – everything is cooked automatically at the press of a single button and there is no need to programme the mode, temperature or duration – the oven is already prepped and ready to cook. A testament to the design and functional aesthetic of the future, the H 6860 BPX Oven is handle-less and is operated by tapping or swiping the ‘M touch’ display screen and also comes with a self-cleaning ‘Pyrolytic Cleaning’ function that removes grease splashes and residue, by incinerating them to ash at very high temperatures, so you’re just left with ash dust to wipe away. Safety is also a primary feature with automatic switch-off functions, multi-layer panel insulation of the oven doors against overheating and burns, as well as locking the oven with the touch of a finger to protect it from being switched on by mistake or by children. 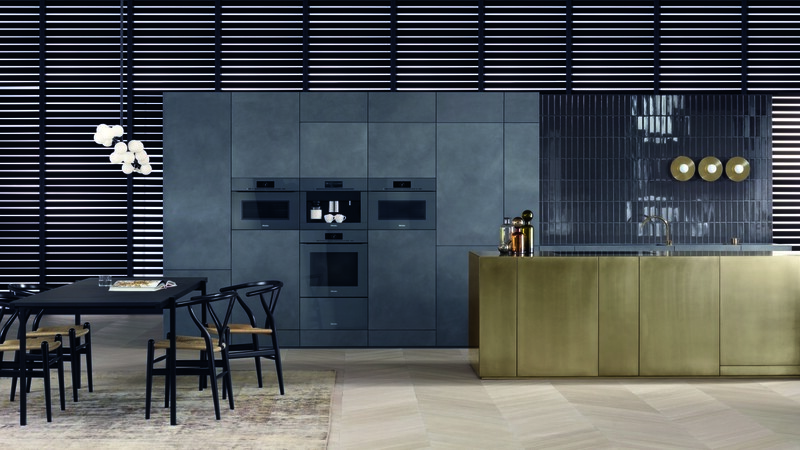 “We at Miele offer smart products that are in harmony with kitchen desires and global trends. In developing an oven that not only excels in terms of performance, but also superior design, we hope to achieve our goal of inspiring people to cook more and with tremendous ease,” said Mr. Stavros Politis, Managing Director of Miele UAE. The price of H 6860 BPX Oven is AED 19,900 and is available in Graphite Grey, Brilliant White and Obsidian Black. It can be purchased at the Miele Experience Centre, Sheikh Zayed Road, Dubai.